Time for another Degustabox unboxing! 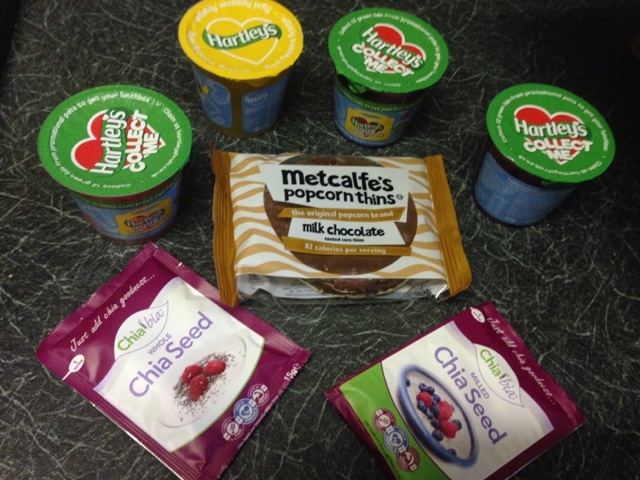 Hartleys single jelly pots these are super handy for packed lunches not just for little ones but big kids too. I love jelly and these are full of flavour and just the right amount. I can't wait to try more flavours and add them into my lunches. Metcalfe's Popcorn Thins were so tasty. Very much like rice cakes but with more flavour a little popcorn and a lovely milk chocolate topping. I have already spotted these in my local supermarket and had to pick up more as a tasty healthy snack. Chia Seeds we are yet to try but I am planning on making some overnight oats and adding them into that. I have seen lots of yummy recipes and am always saving them over on my Pinterest! Sour cream and Onion toasted bread chips were super tasty and were lush dipped in hummus but really didn't need it, They didn't last very long in our house. 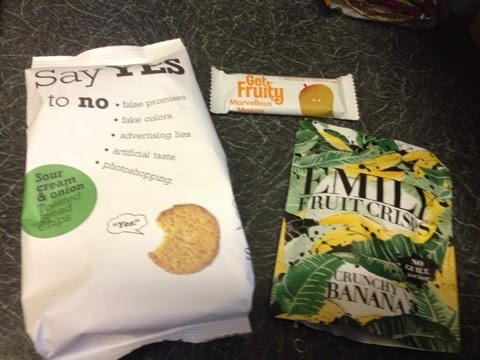 Banana Crisps were a tasty alternative to crisps. I love bananas and these were just lush. Get Fruity another great addition to any lunch box. We used the Cirio Beans in a chilli and on some nachos and they added that extra punch in flavour we have already ordered some more of these. 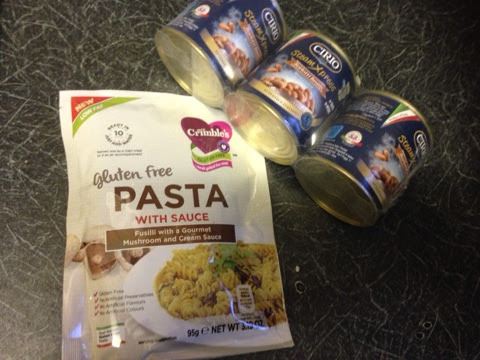 They also go great with the Crumbles pasta in sauce. 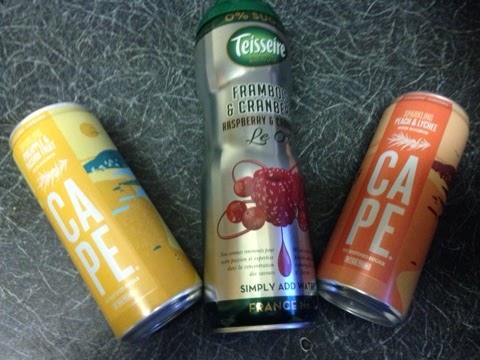 We love getting drinks in our Degustabox and the Peach and Lychee was my favourite Cape drinks come in really nice flavours and have just the right amount of fizz. I loved the packaging to the squash drink but was expecting a bit more exitment. Did you know you can get money off your first Degustbox order by using the code BLDEG15 you can get a massive £7.00 discount and it really is worth it.